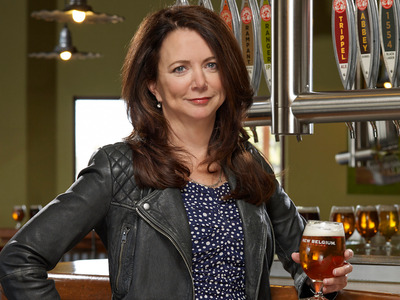 New Belgium Brewing CompanyKim Jordan, cofounder and longtime CEO of New Belgium Brewing Company. Twenty-five years after founding New Belgium Brewing Company, Kim Jordan still has pinch-me moments. From 1991 to 2015, Jordan (No. 12 on the BI 100: The Creators) was CEO of New Belgium, which she built into one of the US’s largest craft breweries, with $225 million in annual revenue. The company’s success isn’t uniquely Jordan’s. Since 2013, New Belgium has been 100% employee-owned, which helped solidify Jordan’s intent to engage her coworkers in each facet of the business. In an interview with Business Insider, Jordan, who’s now executive chair, discussed the road to employee ownership and how sustainability has been a crucial building block of New Belgium’s success. As the story goes, the creation of New Belgium stemmed from a trip Jordan’s then husband, Jeff Lebesch, took to Belgium in 1988. As he cruised through the streets on a fat-tire bike and stopped to taste local beers, Lebesch yearned to bring the flavours of Belgian beer back to the US. Three years later, Jordan, a social worker, and Lebesch, an electrical engineer, installed brewing equipment in the basement of their home in Fort Collins, Colorado. 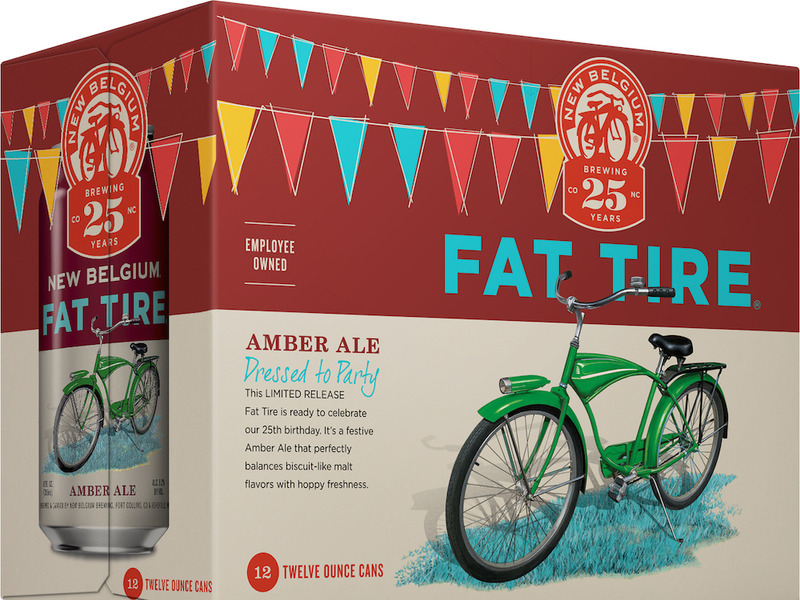 By the summer of 1991, they were selling their two flagship Belgian-style brews, Abbey and Fat Tire, at local beer festivals on the weekends. At the outset, consumer interest in New Belgium was driven by a void in the market, Jordan said. “When we started, there was no one in Fort Collins making packaged beer,” Jordan said. You couldn’t go to a store and buy craft beer to take home. They decided to specialize in 22-ounce bottles of beer, and the cash flow followed. In their first year of home brewing, New Belgium earned $150,000 in revenue. Despite the early signs of success, neither Jordan nor Lebesch had quit their day jobs yet. In October 1992, after more than a year of home brewing, the pair finally moved New Belgium from their basement into its first official location in Old Town Fort Collins and took the company on full time. In February 1992, months before relocating to the first brewery location, New Belgium hired Brian Callahan — now the company’s longest-serving employee aside from Jordan — and gave him a “10% pot of sweat equity” in the company. By the end of the year, New Belgium was growing fast and hiring bottlers, brewers, and engineers. New Belgium Brewing CompanyNew Belgium employees have owned 100% of the company since 2013. With a growing team and a booming new business, Jordan said she wanted to create a plan for the succession of the company. After reading “The Great Game of Business,” a book by management expert Jack Stack, Jordan felt inspired by Stack’s urge to apply open-book management, the practice of full financial and business transparency within the company. In 1995, Jordan began teaching employees about financial statements and enlisting their input for annual planning and long-term strategy. “It was a very collaborative process with a lot of consensus,” she said. But she quickly realised that if employees had a say in the company, they should also have a stake in it, and the first iteration of New Belgium employee ownership was born. 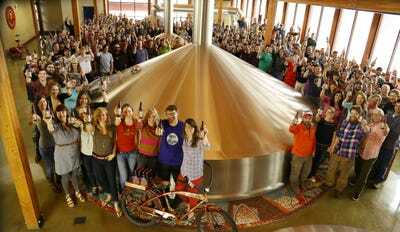 Going forward, every employee was formally awarded stock in New Belgium upon their first anniversary at the company. In 2000, with a workforce of 90 employees, New Belgium officially transitioned to an employee stock ownership plan (ESOP), a type of retirement plan that awards employees stock in the company to be distributed upon their exit. The new ESOP purchased Callahan’s 10% slice, as well as a portion of Jordan’s and Lebesch’s shares, bringing employee-ownership to 32%. A year later, Lebesch left New Belgium to pursue other interests, but it wasn’t until 2009 when the couple divorced that New Belgium’s board of directors urged Jordan to keep control of the company in the hands of those directly involved with it. New Belgium purchased Lebesch’s remaining shares and retired them, bringing the ESOP total to 41%. The employee-ownership saga culminated in late 2012, when Jordan and the board of directors decided the best next step for the company would be to place it fully in the hands of employees. Jordan sold the remaining 59% of the company — her shares, her two sons’ shares, and the management’s shares — to the ESOP, making New Belgium officially 100% employee-owned. She announced the sale to more than 450 “thrilled” employees at New Belgium’s annual company retreat in January 2013. That sets New Belgium apart from other iconic craft breweries, such as Dogfish Head and Lagunitas, which have sold stakes to outside investors. Jordan’s sale to the ESOP represents a conscious effort to fight the wealth gap, avoid cuts and layoffs a buyer might have demanded, and keep her employees involved in the future of the company. It’s typical to associate mass production with unsustainable practices, but the opposite is true at New Belgium. The craft brewery is one of the largest in America and is widely considered the leader in sustainability. While hiking in Rocky Mountain National Park shortly after founding the brewery, Jordan and Lebesch determined New Belgium’s four core values and beliefs (the company now has 10). One value that persists today, Jordan said, is environmental stewardship. “I love beer, I love drinking beer, I love the beer industry and the people in it, but I wanted our business to be about more than just that,” she said. In 2013, New Belgium codified its commitment to act sustainably when it became a certified B Corporation, a legal status that pushes the company to meet rigorous environmental and social standards. Whether it’s the equipment Lebesch engineered to recover reusable heat from the brewing process, a recent investment of $12 million in a water-treatment plant, or installing solar panels at the brewery, every decision New Belgium makes takes into account its mission to conserve resources. But as hard as Jordan and her coworkers work to make environmental sustainability an integral part of the business, there’s another aspect of sustainability that’s incredibly important, Jordan said, and that’s earning profits. In the past 25 years, Jordan has learned a number of important lessons — some of them difficult — about sustaining a business. Chief among them is the willingness to evolve. New Belgium Brewing CompanyNew Belgium’s flagship brew, Fat Tire, celebrates 25 years in 2016. “One of the things that vibrant organisations have to do is change,” she said. In October 2015, Jordan stepped down as CEO and New Belgium president and COO Christine Perich, who’s been at the company since 2000, took over. Jordan is now executive chair and is focusing on New Belgium’s brand and portfolio, as well as strategy. In May, New Belgium opened its highly anticipated second production location and “Liquid Center” tasting room in Asheville, North Carolina, the heart of the craft-beer movement in the South. The new location significantly increases distribution opportunity on the East Coast, and last week New Belgium rolled out in New York.